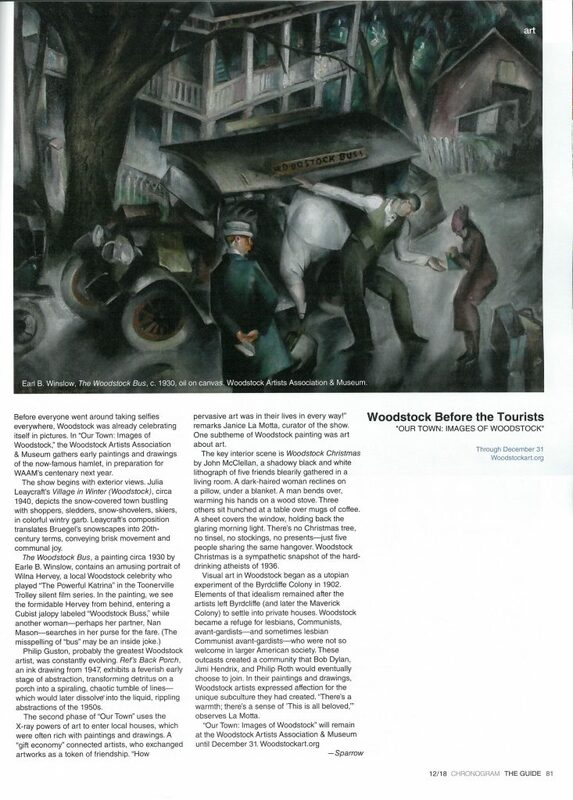 Our Town: Images of Woodstock highlights the significant holdings in the WAAM’s Permanent Collection of imagery that depicts Woodstock. Artists’s studio interiors, village architecture, and scenic locales such as Cooper Lake and Overlook Mountain are represented in a diverse selection of paintings, drawings, prints and photographs. Artists include Konrad Cramer, Earle B. Winslow, Pele deLappe, Carl Eric Lindin among others.